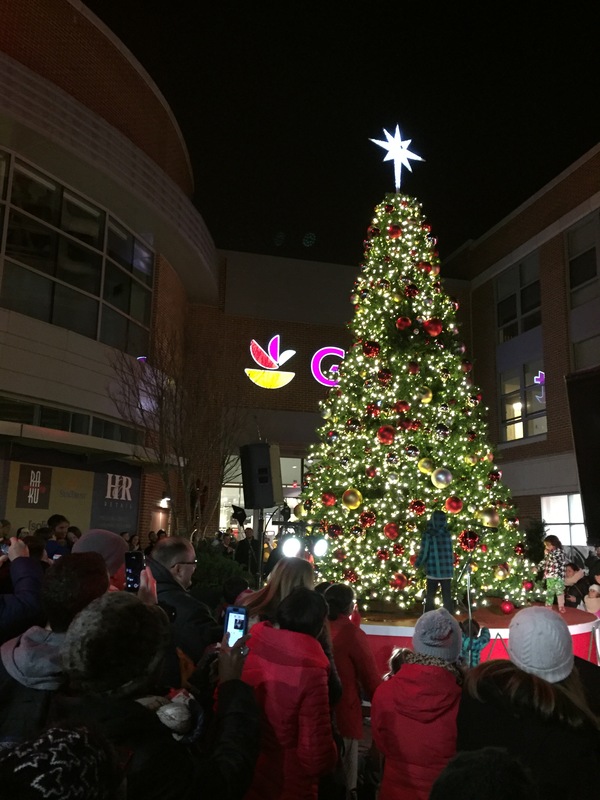 On Saturday, December 3rd, Cathedral Commons hosted its 2nd Annual Holiday Tree Lighting Event, bringing a flurry of activities to Cathedral Heights. Neighbors and community members gathered for festive performances from Lafayette Elementary and the Thomas Circle Singers. They also savored food and drink offerings from The Grilled Oyster Co., Starbucks, Giant, and Stella*s PopKern. Kids enjoyed holiday crafts, roaming holiday characters, and fun giveaways. Santa even took time from his busy schedule to take photos with kids and pets! The evening concluded with Santa helping lead the countdown to light the tree. From now through the end of the year, check out the tree in front of Giant on Newark Street.